If you’ve been following our blog closely, you may have noticed that we’re in Africa. Africa! I heard that’s a place where you go see animals, and go on safari. Well, that’s what I heard. The careful reader may have further noticed that while we’ve been in Africa for a while, we haven’t actually gone on safari yet. In fact, it took us almost two and a half months after we arrived before we went on a safari proper. To be honest, part of the reason why we delayed was that I didn’t think I would enjoy it. Cooped up in a car all day? Just driving around, looking for stuff? For 3 days on end? Doesn’t sound like my cup of tea. I was wrong. I really, deeply enjoyed going on safari. What I didn’t understand was how incredibly beautiful and peaceful the savannah is. Viewing the landscape is like lying on the beach and like staring out onto a moving, changing ocean. What I also didn’t understand is how captivating it is to watch an wild animal being itself in its natural habitat. On safari, the animals don’t really notice or care about the cars, as they don’t really fit into their world view, so they almost completely ignore you. The experience is like stepping into an animal family’s living room, and watching everyday domestic drama unfold. I’m now hooked on safaris. 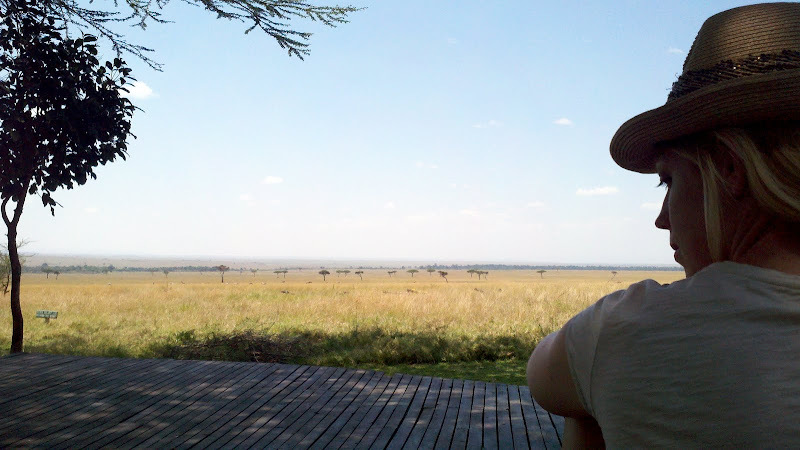 Out on the savannah, I felt the most relaxed and happy that I’ve felt in a long, long time. Descriptions and words don’t really do the safari justice, however. So instead, come with me for a little safari of your own through our photos of the Masai Mara. There’s some animals, a hot air balloon ride, the Great Migration, and one of the most beautiful places on earth. I hope you can visit, too, someday.